Metro Detroit Home Inspector - Is your home losing energy? Is your home losing energy? 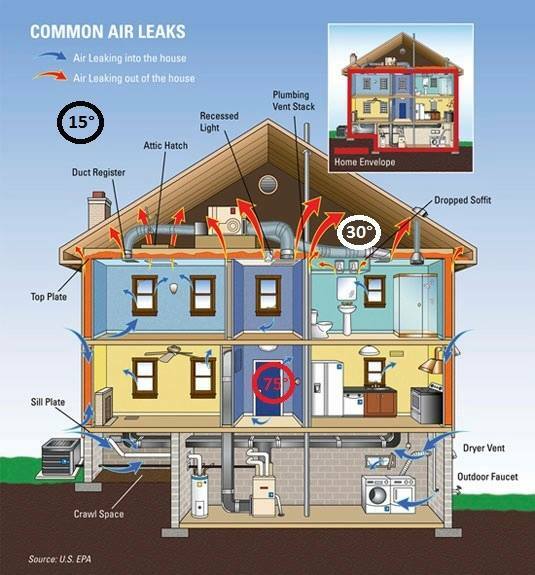 This diagram can help you see how your home loses energy. A residential home inspection can aid in identifying some of these issues. Schedule your inspection today! I am a licensed residential builder in the State of Michigan (ID #2102211191). I have been licensed as a builder for 5 years. This sets me apart as the State of Michigan does not license home inspectors. I have worked in the building and inspection industry for 14 years. I inspected hundreds of bank owned homes during the foreclosure crisis. April showers, bring May, water leaks!